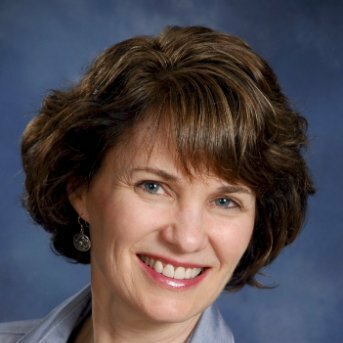 Today we are pleased to welcome guest blogger, Sue Becker, Productivity Coach at Spark Productivity. Sue has spent the last 15 years inspiring business people to implement organizational solutions to be more productive and to spend more time enjoying life. One of the biggest time management mistakes people make is not recognizing that time management is really self management. Instead of looking for external explanations to know why time management is a challenge, I coach people to look internally. I help them to build the self discipline to do what’s important to help them reach their goals and to flex the self discipline to set aside time for unburdened fun as well as for becoming the person they were meant to be. Once a person accepts that time management is self management, then they eagerly make decisions to break bad habits and to establish new, helpful ones. Two such attractive habits are working in focused, uninterrupted sprints and working priorities top to bottom. To establish a habit of focusing, recognize there are external as well as internal interruptions to mitigate. We often interrupt ourselves as frequently as external factors interrupts us. Some people open their emails every time the little ding sounds, thinking, “Surely it’s something more interesting than whatever I’m currently working on.” Other people answer the phone every time it rings or leave their posture open to passersby. Discover your patterns of self interruption, and then determine a system for preventing and/or releasing them. Another strategy is to set aside a fixed amount of time when you don’t allow yourself to be interrupted. This can be an hour a day or an hour a week. It’s intended to make sure you have quality time to focus on important tasks without the threat of being interrupted. It’s critical to select tasks that are worthy of this valuable, uninterrupted time so you don’t squander it. To establish a habit of prioritizing, use visual cues to create a pattern of working on the most important thing. Place a note somewhere easily seen—in front of your computer or inside your planner—that says something like, “Am I moving closer to my goals?” or, “What’s the most important thing I should be doing right now?” When you’ve discovered your purpose in life and have your goals recorded, driving your behavior gets easier. What’s the key? It’s to take charge rather than let your days be dictated to you. It’s also getting comfortable with the knowledge that establishing habits takes time. After all, it took a lifetime to create your current habits, so recognize that you may not change them quickly or easily; yet it will be worth it when you do. One final way to take charge is to use tools that will help you be more productive. For example, using tools like X1 to speed up your search for items on your computer will free up time so you can get more done. Please join me on February 24 for a complimentary webinar that will show you the power of productivity that X1 makes possible. I look forward to having you on the call.